Abinadi says that the Lord says that "this generation" will be killed and their dead bodies fed to the vultures, dogs, and wild beasts. God will strap loads on their backs like they were a bunch of dumb asses, make them howl all day long, send hail to smite them and insects to pester them, and then he'll kill them all with disease and starvation. When God gets done with them there will be nothing left but the "record they shall leave behind them" (written on golden or brass plates, no doubt). They brought Abinabi to King Noah and told him what Abinabi said that the Lord said about him: that he was like a burning garment, a dry stalk that is trampled on by beasts, and (worst of all) like the blossoms of the thistle. 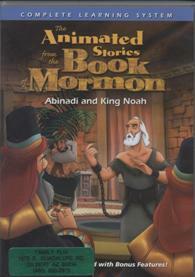 When King Noah heard about Abinadi's prophesying, he threw Abinadi in prison and called his priests to a meeting to decide what to do with him. The priests started interrogating Abinadi, but somehow he managed to start asking the questions. They try to defend themselves, but Abinadi is too clever for them. He pioneers the argument tactic of calling your opponent a whore, insisting that you are right, and then quoting the bible. People have been using it ever since. Just in case you want the DVD version. Noah is getting sick of Abinadi's preaching. He orders his men to grab Abinadi, but they can't. Apparently God will smite them if they do. So it looks like they are stuck listening to him, and so are we. 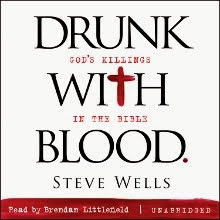 He finishes going through the 10 commandments, and rambles on about all of the usual stuff: stiffnecked people, salvation, the coming of the Lord. The most notable part of his speech is when he talks about the law of Moses. He says that we should keep with the law of Moses for now, but there will come a time when we will need to abandon it. Also, salvation doesn't come simply from following the Law of Moses. There's more to it than that. The next chapter is straight out of Isaiah, but after that we have more of Abinadi's riveting speech. Until then!